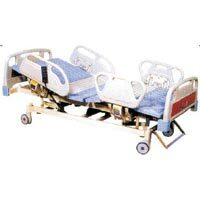 The Electrical ICU Bed offered by us includes various Beds that are made up of strong Steel material ensuring greater strength and high durability. 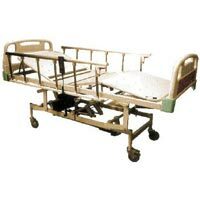 The advanced features available in our Electrical ICU Beds ideally make operating of these Beds a very easy task. 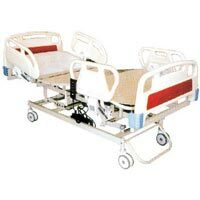 Electrical ICU Beds offered by us are easy to install and provide maximum comfort to the patient. M.S. perforated sheet platform in four sections. ABS molded head and foot panels. Overall size : 210L x 90W x 60-80Hcms. Pre-treated and epo x y powder coated finish.